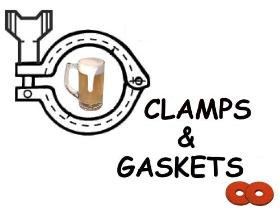 Clamps & Gaskets: News Roundup for Weeks 42/43, 2011. "The most preposterous, fabulous, thrilling, all-around unbelievable World Series game of this generation." St. Louis Cardinals defeat the Texas Rangers in Game 6. Via Thomas Boswell of the Washington Post. Alan McLeod of @agoodbeerblog creates a Wiki-Space for comments on, and reviews and errata corrections of The Oxford Companion to Beer. Benjamin Franklin did NOT write that quote attributed to him about beer. In fact, he was praising wine. More Virginia cider! In Nelson County, Bold Rock Cidery is expected to produce cider by Christmas. Yet more Virginia beer! Over 1,300 turn out for Hardywood Park Craft Brewery grand opening in Richmond, Virginia. Via VACraftBeer.com. More Virginia beer! Blue Mountain Brewery breaks ground on its new production facility in Colleen, VA. Via MusingsOverAPint.com. A slideshow of photos from the 8th annual Chesapeake Real Ale Festival, 15 October, in Baltimore, Maryland, co-organized by the Society for the Preservation of Beer from the Wood (SPBW, Chesapeake chapter) and the Pratt Street Alehouse, where the festival was held. A warning about a cellphone scam called "smishing." Via ABC News. An insider's comment on the very wet Virginia wine harvest: "There's going to be a lot of rosé in 2012." Moammar Gadhafi, who ruled Libya for 42 years until he was ousted by rebels in a bloody civil war, has been killed. Via Yahoo News. Wild Wolf Brewing Company to begin brewing at new brewpub in Nellysford, Virginia. Via MusingsOverAPint.com. Some brewpubs and non-brewing restaurants are opening separate brewing facilities to supply their growing beer needs. Via Washington Post. 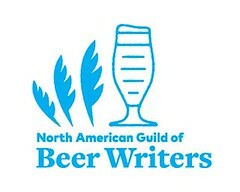 Photos from Baltimore Beer Week (6-16 October, Baltimore Maryland) on Flickr. 1st ever Washington D.C. Wine Week: 15-22 October. Twitter reaches 100 million monthly active users; 50% log in every day. Via Mashable. 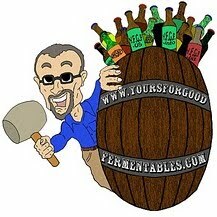 "In Defense of Language: or How I Learned to Stop Worrying and Love Black IPA." Via Greg Koch of Stone Brewing. The Oxford Companion to Beer: good but flawed, say British bloggers Boak and Bailey. It lacks original source documentation, and has a U.S. slant. Clamps and Gaskets returns after a 28 week absence.